The packaging that protects and stores our food, beverages, perishables, pharmaceuticals, toiletries, chemical products, etc. does not do so alone. Packaging coatings are used to protect and enhance the interior and exterior of containers, packaging, lids, metal, plastic, board, paper, and more in order to best maintain their contents, or attract the eye. In Australia a stroll down the supermarket aisle or into the bottle shop will show the scale of the packaging coatings industry. A range of coating types are used for different substrates, as well as specialty coating developed for specific purposes such as anti-static, or soft touch. In this article we look at the various packaging coatings and their applications in the packaging industry, as well as the packaging coating manufacturers and products in Australia. Polyurethane – Polyurethane’s properties of flexibility, abrasion, chemical, and water resistance, as well as its responsivity to inks make it an ideal coating type for packaging. Polyurethanes are also popular due to their enhanced aesthetics and their ability to be formulated for soft touch results. Epoxy – Epoxy has been the industrial coating of choice for can coating since the 60s, and the majority of the market still uses epoxy. With public concerns surrounding BPA (bisphenol-A, an epoxy ingredient), manufacturers are looking to alternatives. Among these are the new ranges of BPA-free coating like Valspar’s valPure range, or AkzoNobel’s Aqualure and Vitalure coatings. UV-curable – A properly cured UV coating is crosslinked, tough, very low or no-VOC, and more environmentally friendly than their counterparts. UV-curable coatings and inks also means that the packaging and its contents are saved from the heating process necessary with other coatings. Soft touch – Touch plays an important part in consumer choices. Packaging with a matte look and feel is associated with more natural products, so companies are choosing these for their products to appeal to a consumer base that is already leaning towards sustainability. DSM has released a range of touch coatings called the “Skins” which come in velvet (Vel-Veeto), rubber (Rubbert), and silk (Silky) feel, and BASF also has a velvet touch coating for plastic in its Steron line. Packaging coating provides protection and safety, corrosion resistance, improves stability, prevents contamination, visual appeal, and creates brand recognition for companies and products. Haptic coatings are also a growth industry – those which make the substrate feel a certain way. The packaging coatings industry can be segmented by end use – food and beverage, cosmetics and pharmaceuticals, household chemicals, and other industrial products – as well as by substrate type. Here we will break them down into substrate type, and discuss the different requirements and applications of each. Flexibility – Forming of the metal packaging may occur after the coating is applied, so the coating needs to be flexible to undergo this process without losing any functionality. 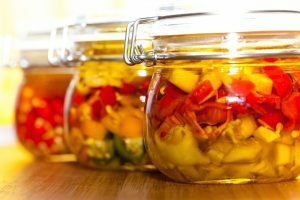 Chemical resistance – From mild contents (peas or beans) to aggressive or acidic ones (sauerkraut, peppers, or bug spray), these coatings allow the metal to withstand their contents and not corrode and cause food spoilage. Easy application – With billions of units produced every year, the coating process needs to be fast and simple to apply in order to optimize production. Retortable – This is an in-container food sterilising process that uses a combination of heat and pressure. The coating needs to be able to withstand this without failing. Abrasion resistance – External coatings need to be tough enough to deal with the knocks that come with production, delivery, and use. Coatings for metal come in solvent-based, water-based, and high solids varieties. They are applied by spray, roll coating, coil, and sheet coating, depending on the specific needs of the substrate. Coating type also varies, though mostly the resins used are epoxy, polyester, acrylic, and vinyl. The plastic packaging market is divided into two types – rigid and flexible. Flexible plastic packaging is currently on the rise as companies attempt to improve their environmental impact and consumers choose more sustainable products with less weight and bulk. The permeability of plastic means that barrier coatings are required to protect contents from oxygen and other gases, water vapour, and mould that might cause it to spoil or decrease shelf life, as well as preventing the loss of aromas and deterioration for the contents. These barriers are often aluminium films. Although plastic is most commonly used for food and beverage packaging, it is also popular in the cosmetics and pharmaceuticals industry. The most common plastic used in packaging is polyethylene, in either low- or high-density varieties, though polyester/polyethylene terephthalate (PET) is now the plastic of choice for bottles. With the rise of PET bottles, the hunt is on for the perfect barrier coating to improve longevity and migration for the contents – to stop them ‘tasting of plastic’. For the most part coatings for the plastic packaging industry are aesthetic or haptic in nature. Packaging coatings for glass make the interior and exterior scratch resistant as well as lubricating he surface. The glass bottle and jar production process takes place in three stages – the batch house (raw materials), the hot end (manufacture, ovens and forming), and the cold end (final processing and packaging). Coatings are applied at both the hot end and cold end stages. Hot end coating is applied directly before the glass enters the annealing oven and cold end coating is applied when the glass leaves the oven. The hot end coating is a very thin layer of tin-based coating which fuses with the glass and becomes tin oxide due to the heat of the oven. It acts as a primer, making the glass surface more adhesive for the cold end coating. The cold end coating is commonly a water-based emulsion of polyethylene wax. It is applied to enhance lubricity, scratch resistance, and strength. Heightened lubricity improves the process of the bottling line by preventing bottles sticking together. Making the glass slippery and tougher also protects it from abrasion, and the glass becomes practically unscratchable. The rise of e-commerce has seen a corresponding rise in the use of paper and board and the need for paper and board packaging. The rise in environmentally-conscious consumer choices and the desire for sustainability is also responsible for some of this need. The paper and board packaging coating industry provides coatings for food packaging, flexible packaging, corrugated board, labels, and more. Over 30% of all paper-based packaging has some sort of functional or barrier coating, covering 100% of liquid packaging board and nearly 50% of food packaging. The paper and board packaging coating segment is mostly either barrier coating or exterior graphic coatings. Oil and grease barriers for fast-food boxes, water barrier coatings for shipping of perishables, and high performance colour coatings for graphics and branding all require special coatings. The factors affecting the global packaging coatings market include the rising worldwide consumption of beer (from glass bottles and beverage cans), the increasing numbers of PET bottles and applications, the consumer desire for sustainability and environmentally conscious products, an awareness and mistrust of chemical side effects, and the ability to recycle. There is a consumer trend towards glass bottles as a recyclable and environmentally alternative to plastics. Tactile coatings and UV-curing coatings are also growing industries. Here are some products offered by the aforementioned top manufacturers. In case you require any further information on packaging coating products, applications or suppliers, do not hesitate to contact us. We, together with our network of coating specialists, make sure you find the solution that best suits your purposes, and provide you with a competitive quote for the coating of your choice. AkzoNobel Aqualure G1 50 A waterborne BPA-NI spray coating for the interior of aluminium beverage cans. BASF Laromer UV-curing binder for toughness, abrasion resistance, and adhesion. DSM Skins Overprint varnishes to add tactile effects to packaging, both food and non-food. Flexographic, gravure, and offset. 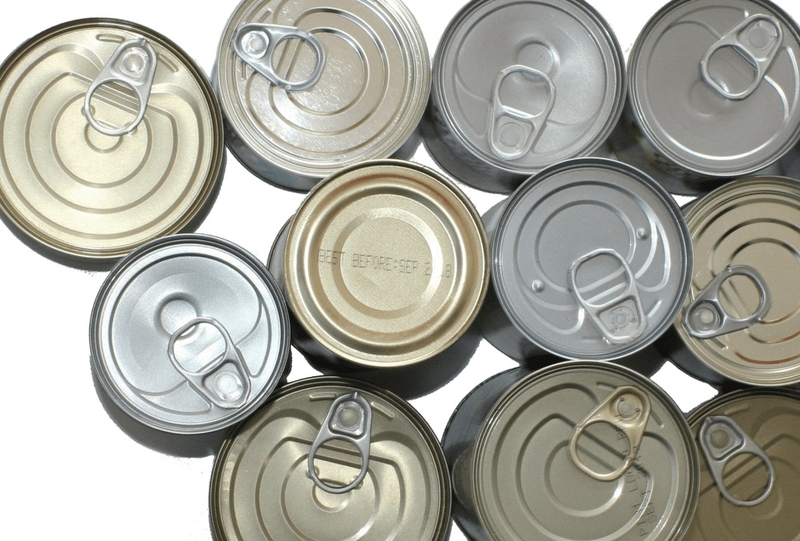 PPG Innovel HPS Internal spray lacquers for aluminium and steel beer and beverage cans. Valspar valPure V70 Non-BPA coatings for the exterior of draw-redraw bodies and ends, easy open ends, and the interior of drawn-and-ironed food cans.